ATC-66-7 is a continuation of the ATC-66 Series, which has, in the last four years, hosted almost 400 trainings involving around 30,000 participants. These trainings occurred either as online national webinars or in-person courses in over 20 U.S. states and territories, including Puerto Rico, Guam, and the U.S. Virgin Islands. The purpose of the ATC-66 Series is to provide a mechanism for delivering direct assistance to the public to: (1) increase local earthquake knowledge and awareness; and (2) support the effective implementation of risk reduction activities from earthquakes or related hazards. NETAP provides support for course development, logistical coordination, training delivery, technical assistance, performance tracking, and development of tools necessary to support the effective implementation of the National Earthquake Hazards Reduction Program. Technical Assistance or Special Projects: Under NETAP, communities or organizations may request occasional technical assistance or support to special projects to effectively initiate local earthquake mitigation efforts. Such local request is communicated and coordinated with the State and Regional Earthquake Program Managers and discussed with the NETAP Program Manager for review and approval. If determined feasible and approved by the NETAP Program Manager, ATC provides technical assistance or support to special projects. Projects may include development of practical earthquake mitigation guidance (i.e., reports, informational materials, and other products) and support to local risk reduction activities to assist building owners, local officials, and other stakeholders in identifying and communicating potential risks and planning and implementing strategies for addressing these risks. However, projects under this task may not include specific engineering services, plans, analyses and recommendations for specific facilities or buildings, or construction work. 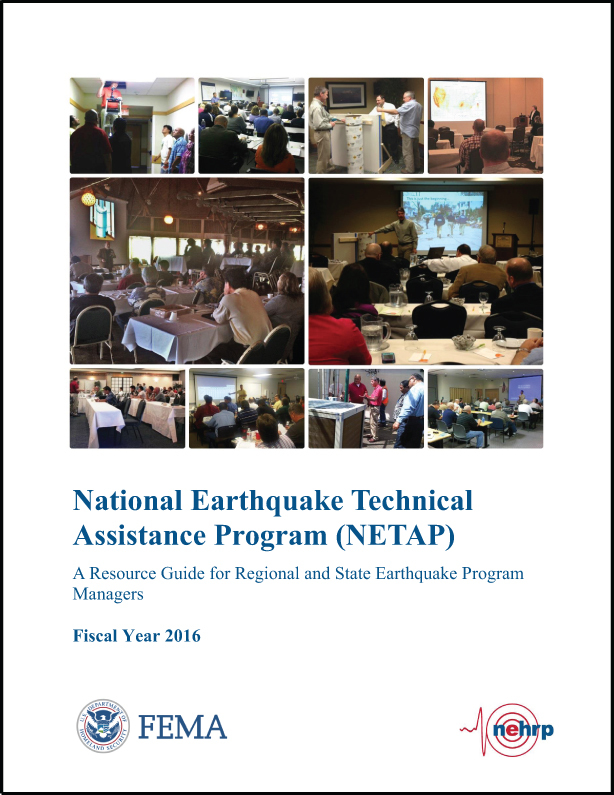 For more information, see the 2016 NETAP Resource Guide for Regional and State Earthquake Program Managers.